Order online or call 01527 883 580. 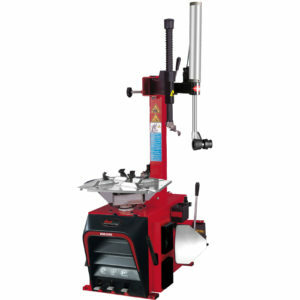 RB221 24″ Fully Automatic Tyre Changing Machine. 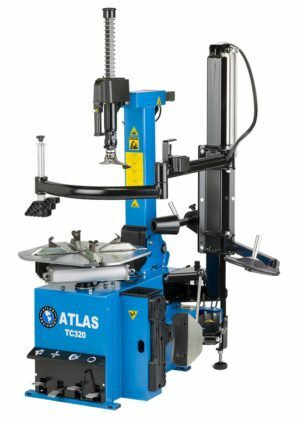 This Fully automatic tyre changing machine is capable of changing up to 24″ wheels. 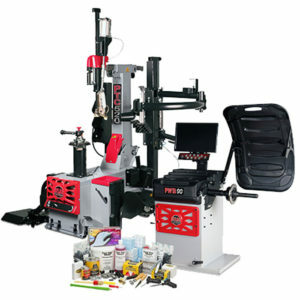 It is perfectly suitable for passenger and light commercial wheels. 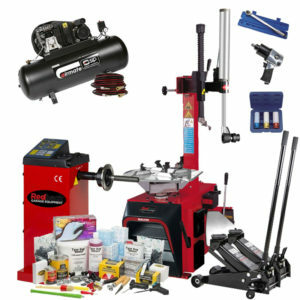 It is also capable of changing motorcycle tyres with additional adaptors. This is the machine formerly known as the U221. The RB221 comes with a pneumatically controlled rear tilting column (saving you set up time). Single Phase operating of a standard 13 amp 3 pin plug. 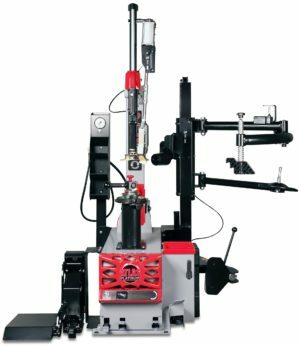 The REDBACK 221 Tyre Changing Machine does not include the three way assist arm. 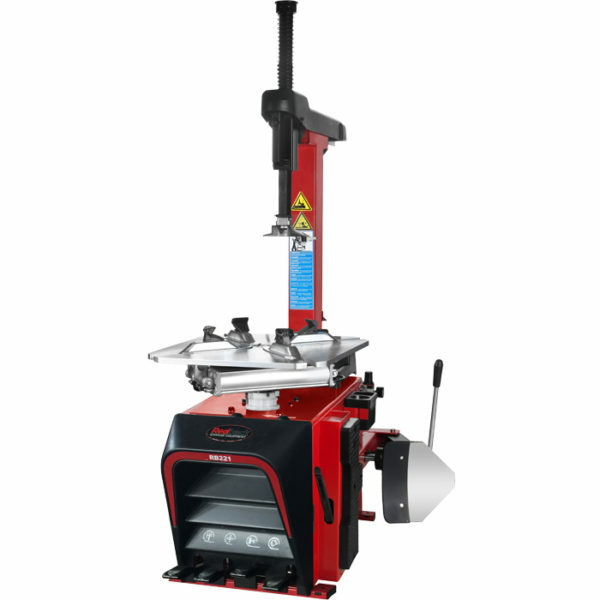 The Redback 221 is a fully automatic tyre changing machine capable of changing up to 24″ wheels. 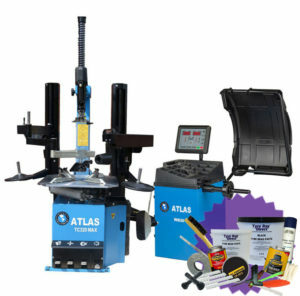 The machine has a powerful bead breaker as well as built-in fast inflation and a digital inflation gauge for tyre inflating. 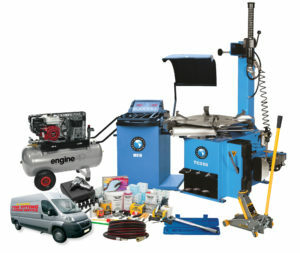 The machine runs from a standard 1ph supply and 13 amp socket. 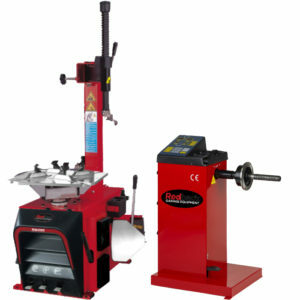 Our Redback Range of Tyre Machinery is designed to provide quality equipment at a low price. 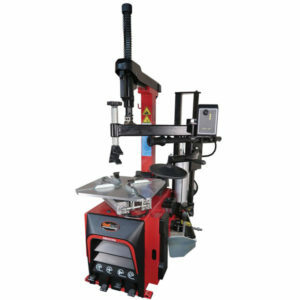 The machinery will require some assembly on delivery and the standard warranty is 12-month parts. 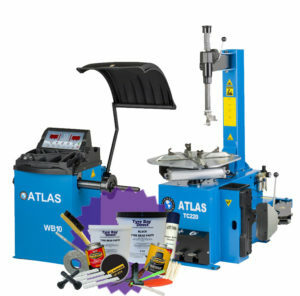 Designed for wholesale customers or customers who are happy to maintain their own machinery with minimal support to achieve a financial saving. 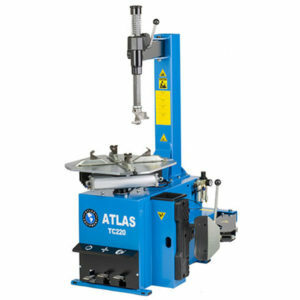 If you would prefer a more complete after sales service with extended parts and labour warranty, fully assembled machinery, installation and dedicated helplines then please take a look at our range of ATLAS Tyre Machinery.